Did a loved one buy you an Amazon Echo over the holidays? Sorry about that. But now, in addition to well-founded fears about surveillance and security, you’ve got a new problem: ads. CNBC reports that Amazon is in discussions with huge companies that want to promote their goods on Echo devices. 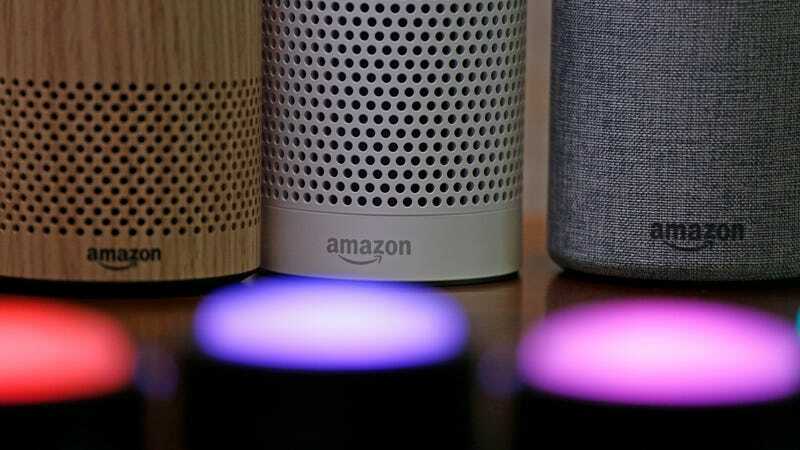 Proctor & Gamble as well as Clorox are reportedly in talks for major advertising deals that would allow Alexa to suggest products for you to buy. CNBC uses the example of asking Alexa how to remove a stain, with Alexa in turn recommending a Clorox product. So far it’s unclear how Amazon would identify promoted responses from Alexa, if at all. So it seems like Amazon wants to get you coming and going. Not only does the company want to let you buy stuff with your voice. Jeff Bezos and friends also want to make money by suggesting what to buy and even by pushing those products higher up in the search results so that you’re more likely to do it. If this strategy sounds familiar, that’s because it’s essentially how the internet works. You’re allowed to ask Google all kinds of questions so that Google can charge companies to serve you relevant ads—ads that might make you buy those companies’ products. It’s capitalism, baby, and it’s hardly dead. Nowadays, it’s just artificially intelligent, which is beyond terrifying. Then again, you might find this convenient. Browsing pages on Amazon.com to find a cleaning product can be a real chore; it’s almost as bad as walking down the aisles of Target trying to pick the right thing for the job. Where this whole dance gets tricky is when Amazon accumulates so much power and market share that it can control the product pipeline and dictate prices. That might be why Amazon is potentially thinking about buying Target. Heck, the company already owns Whole Foods. One more massive brick-and-mortar retail store would really prepare Amazon to take on Walmart in a big way, especially if people can just bark at their Echo about what they want to buy and then go pick it all up at the store. Who knows if any of that will happen. Well, the advertising thing, that’s already happening, and it’s reportedly about to happen more often. Amazon is also selling an insane amount of goods. Around the same time that the CNBC story about ads on Echo dropped, Amazon announced it had sold over 5 billion items via Prime in 2017. That’s almost as many products as there are people on the planet. So yes, Amazon is getting big. And yes, your Echo is listening.